Another picture taken of my Christmas tree on Christmas day. This close-up shows two main decorations - one Santa dangling from a branch, and one golden apple. 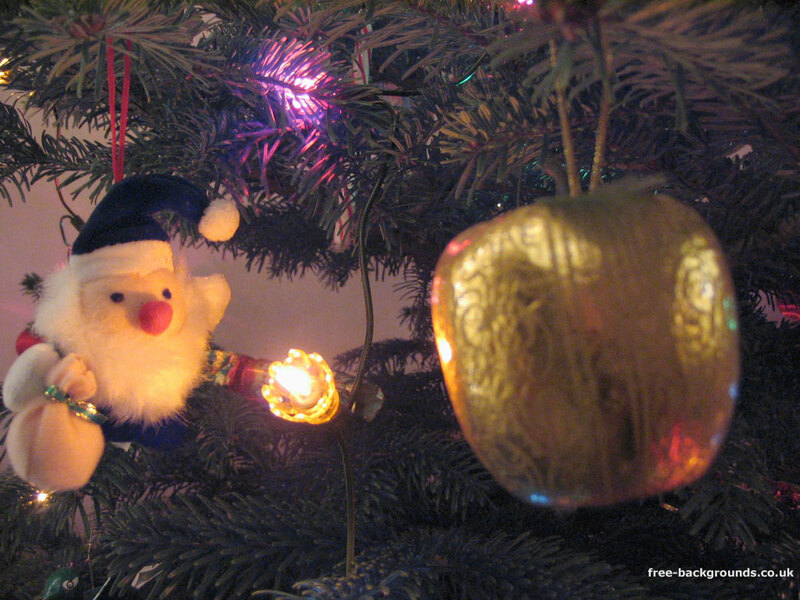 The apple is out of focus because I chose to focus on the Santa in this shot. In the next one I focused on the apple.